– Steve Jobs, June 12, 2005. 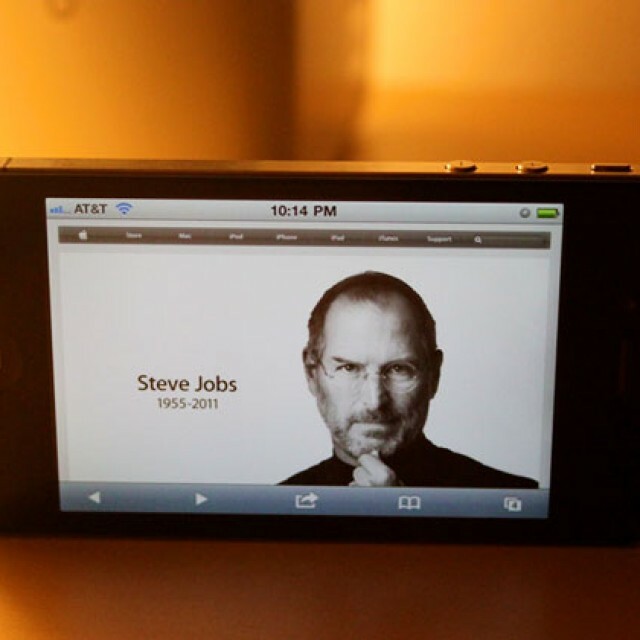 Steve Jobs was more than entrepreneur and more than a business success story. He was a visionary, a pioneer, and a mentor. He inspired millions with the products he guided the creation of — the choices he made, and the dedication to changing the way we interact with technology. While he wasn’t a painter, a designer, a poet or an artist, in the traditional sense of the term, Steve had an eye for what worked and had an unwavering discipline to see his visions through to completion. He was a father to four children, but also a hero to millions of us — affecting the way almost every designer interacts with the machines we’re so often tied to. Tied to, not because we’re forced to be, but because we wouldn’t have it any other way. When Steve announced he was stepping down as Apple CEO in August, most saw it as him coming to terms with his own mortality and a warning to us all to be prepared for the sad news that ultimately came today. When I heard about Steve’s passing I sat at my desk staring at my Mac–speechless. Even now, almost five hours later, it’s difficult to articulate how I feel about his passing. I’ve never met him, I’ve never talked to him, I’ve never even been in the same room as him. Still, it was something that affected me deeply. Judging from the steady flow of tweets following the news, thousands of others–like me–have some strange almost-unexplainable bond with Apple’s co-founder. Grieving is never easy and it’s something everyone handles differently, but I’d like to think that Steve’s visions, guidance, and artistic taste will live on in all of us. ©2019 Brian Wilkins · All Rights Reserved.